Have you ever thought about training in a traditional chinese martial arts form? It’s great exercise with a bonus. Wing Tzun is the largest style of chinese kung fu arts in the world – and for a reason. It roots are ancient, dating back to Ch’an Buddhist founder Bodhidharma and the Shaolin Temple in 495 AD. A female Shaolin nun, Ng Mui , in the late 17th Century, met a fifteen-year-old girl named Yim Wing-Tzun whom a warlord was trying to force into marriage. 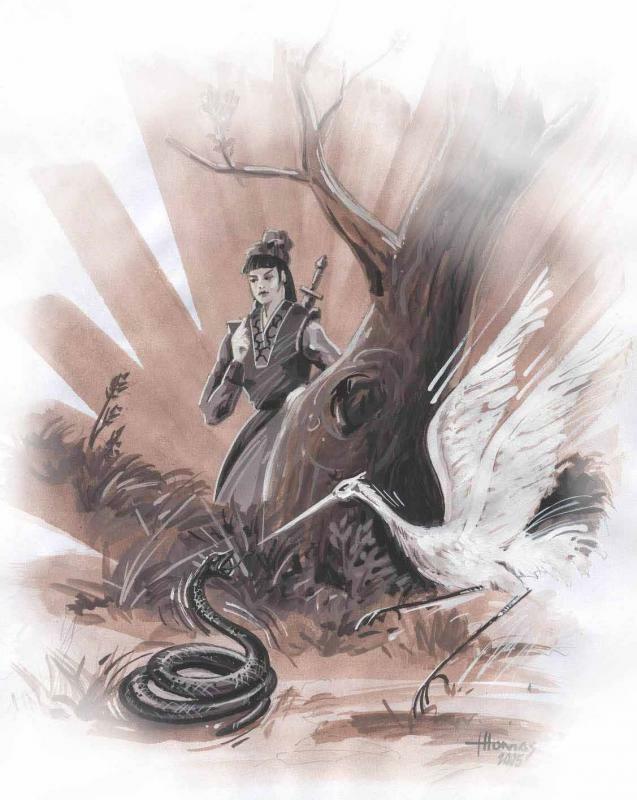 Ng Mui taught Wing-Tzun how to defend herself by distilling Shaolin martial art knowledge into a system, inspired by the nun’s observations of a confrontation between a Snake and a Crane, that Wing-Chun could learn quickly, and use without developing great strength. Wing Tzun is a southern style of Chinese martial arts, generally meaning it is a close-range fighting style. (As opposed to northern styles which tend to be more “long fist” focused.) Wing Tzun is a well thought out system that incorporates geometry and physics to maximum advantage. It is particularly effective for women and physically smaller persons (though men and larger persons can benefit greatly as well). Most of the Wing Tzun schools in the world today, outside of mainland China, can trace their lineage through Ip Man and his school in Hong Kong. Bruce Lee was one of Ip Man’s students and one of the most famous students of Wing Tzun kung fu. Would you like to be a part of this great and ingenious tradition? Join us for training in Minneapolis. We welcome new students. Beginning training is not difficult. Even beginning Wing Tzun students will learn to more effective defend themselves in real world situations, soon after starting training. Our art is not a sport, but real world self-defense focused. Join us for fun, exercise, self-defense skill development, and a warm group of fellow students – Wednesday evenings in Minneapolis.